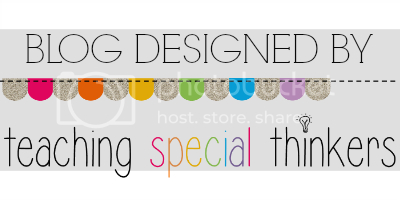 Hello Sparkle readers! I was contacted by the wonderful Chewigem company who wants to share their awesome chewies with you! They sent me two of their products, one for me and one for a lucky reader who enters our giveaway! 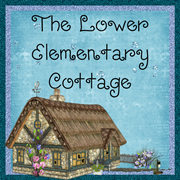 This year I have a couple kids with significant sensory needs. One of my boys has gone through every sensory object we have on campus. They either don't last long because he mangles them, or they don't quite meet his need and he doesn't use them. Then Chewigem sent me one of their Raindrop Pendants! He LOVES it!! He puts it on the second he sits at his desk and uses it when he needs it all day long. The pendant is very sturdy and despite endless chewing over the course of several days, there isn't the slightest dent in the necklace! It is approximately 2 inches long which isn't too big for my 2nd grade, nor too small for a bigger kid. It comes in 7 different colors! I really like the red because it's great for boys or girls, plus the bright color makes it easy to find if it falls off or gets put down. My student is quite fashionable and always likes to have everything match perfectly. 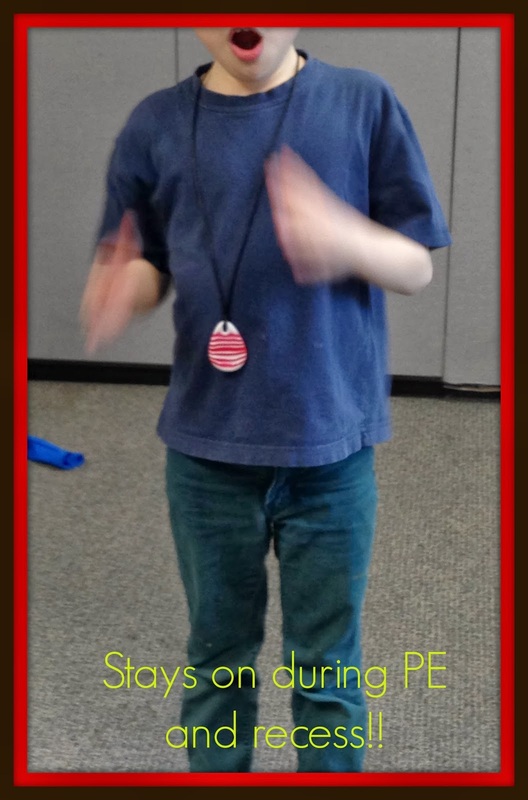 He's the adorable kid who will always complement teachers on their outfits! He was very excited about how cool his necklace looked and that it looks nothing like his ugly chewable necklaces he's had in the past. As a teacher, I really like that the pendant comes with a zip-closed pouch. I can't stand having slobbery sensory objects all over my tables. The Chewigem pouch fits nicely in my student's pocket or desk so it stays clean and so does my classroom! 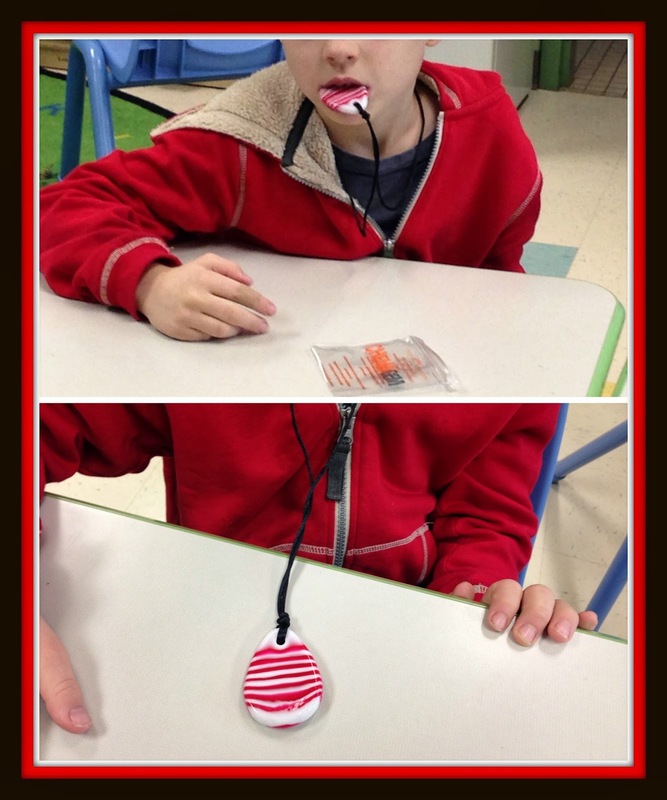 Take a peek at the Chewigem pendant being used in my class! The first set of photos is the way the Chewigem arrives in the mail. The next photo frame is my student using them in class. He loves it! 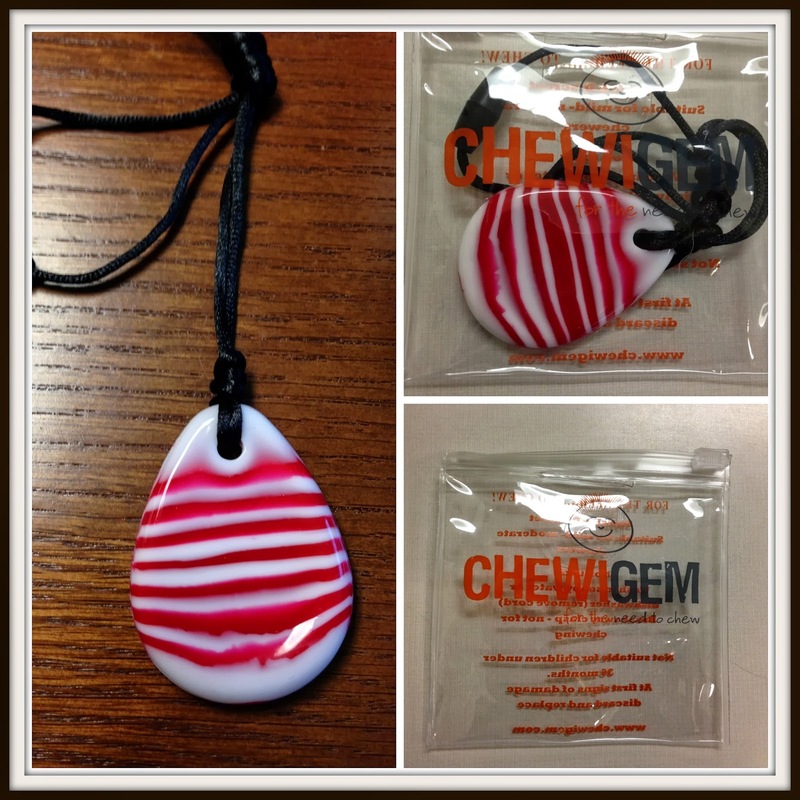 NOW YOU CAN WIN A CHEWIGEM!!! The Raindrop Pendant isn't the only thing Chewigem makes. The wonderful people at Chewigem have also given me an extra necklace to giveaway to one lucky reader!!! 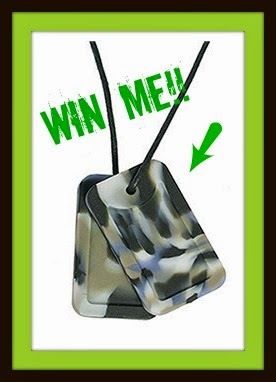 These dog tags are another style made with softer rubber that is more pliable than the raindrop style. These bendable rubber dog tags are more for the nibble oriented students than the hearty chewers. They are great for rubbing or gently sucking or chewing.